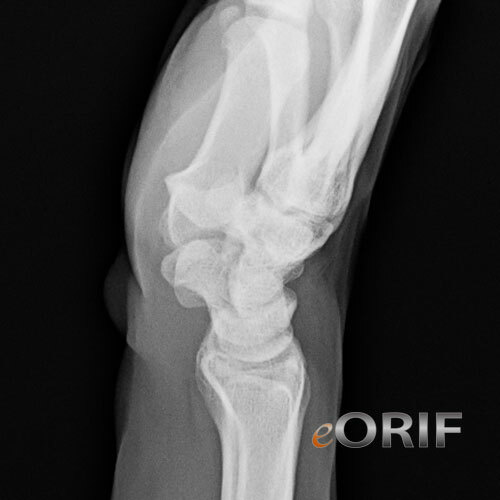 In a true lateral view of the wrist the pisiform overlaps the distal pole of the scaphoid. If the pisifrom is dorsal to the distal pole of the scaphoid the wrist is in relative pronation. 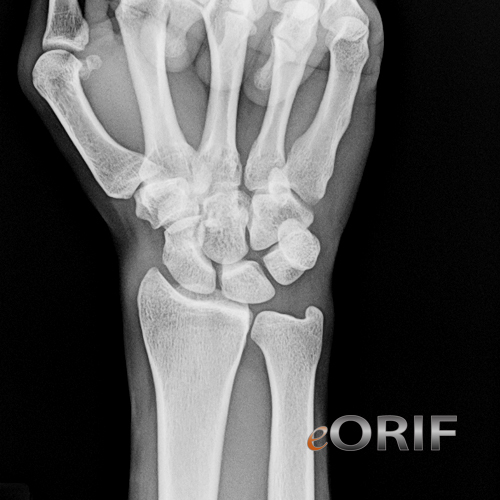 if the pisiform is volar to the distal pole of the scaphoid the wrist is in relative suppination. posteroanterior view taken with the patients fist clenched. 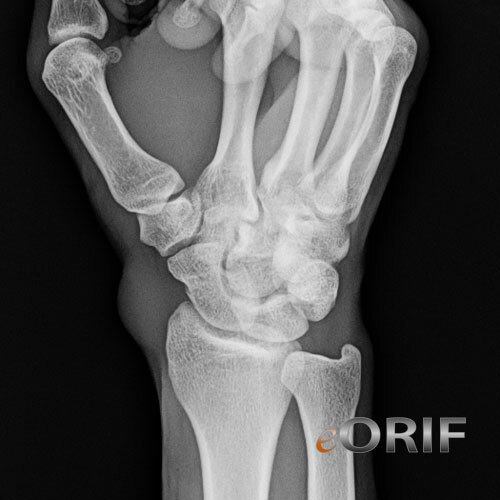 P/A view with the wrist in ulnar deviation and 45° of extension. Alternative positioning: wrist in maximal pronation, dorsiflexion, and ulnar deviation. Places the long axis of the scaphoid more nearly perpendicular to the x-ray beam.